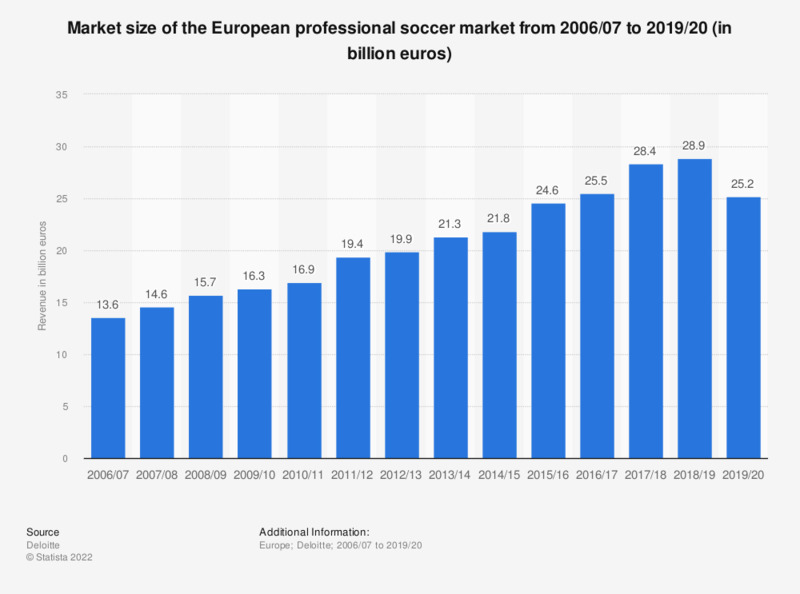 The statistic shows the total revenue of the European professional soccer market from 2006/07 to 2016/17. In the 2016/17 season, the total revenue of the European professional soccer market was estimated at 25.5 billion euros. Which of these (other) European football leagues are you interested in (e.g. results, transfers, news)?